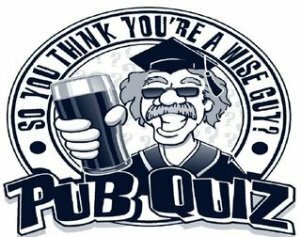 [post_content] => We host the NYC Quiz Season, commencing on Wednesday, October 12th and continuing on every second Wednesday thereafter. Teams of six, a10 per Team, 8.30 p.m. This season Frewen and Aylward the well-known local Gents’ Outfitters will sponsor Vouchers to the value of a100 per Quiz night and will also provide spot prizes over the season. As part of the sponsorship Frewen and Aylward will also offer a 10% discount to all NYC Members. The Quiz entry sheet is on the notice board beside the Manager’s office. We host the NYC Quiz Season, commencing on Wednesday, October 12th and continuing on every second Wednesday thereafter. Teams of six, a10 per Team, 8.30 p.m. This season Frewen and Aylward the well-known local Gents’ Outfitters will sponsor Vouchers to the value of a100 per Quiz night and will also provide spot prizes over the season. As part of the sponsorship Frewen and Aylward will also offer a 10% discount to all NYC Members. The Quiz entry sheet is on the notice board beside the Manager’s office.